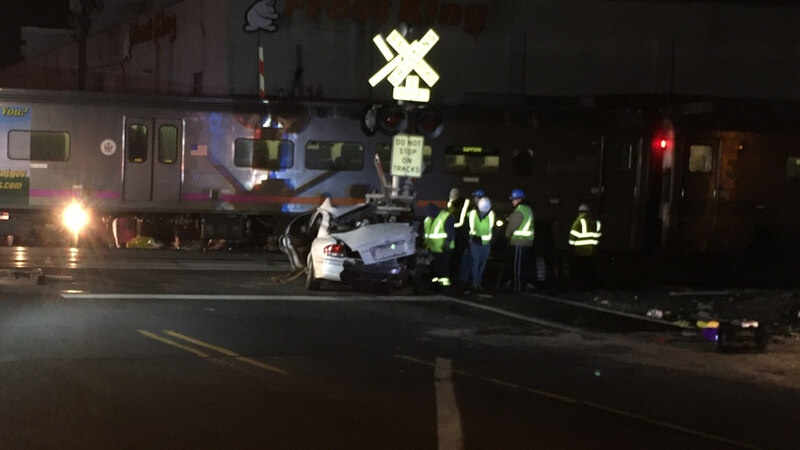 PATERSON, New Jersey (WABC) -- A train struck a car on the tracks in Paterson, New Jersey Thursday night. It happened at 7:30 p.m., when train #1125 that had left Hoboken at 6:53 en route to Suffern hit the vehicle at the 5th Avenue grade crossing. There were no injuries to the 400 customers and crew on the train. The driver was taken to St. Joseph's hospital with unknown injuries. Service was temporarily held due to the incident but has since been restored. Bus service was provided to the passengers aboard the impacted train. NJ Transit reminds motorists to obey railroad crossing warning devices and signals and exercise caution when approaching crossings.